This report from the Teacher workload advisory group sets out recommendations and principles to reduce the unnecessary workload associated with data and evidence collection. The recommendations are for government, Ofsted and others to reduce data burdens in schools. The government has accepted all the recommendations in full. This information is for initial teacher education (ITE) providers. The reducing teacher workload action plan sets out the steps to be taken following the findings from the teacher workload survey 2016. This research was carried out in 2018 to gather evidence on issues for early career teachers and good practice within early career. The research was mainly qualitative, involving interviews with early career teachers and mid-career teachers in schools on their experiences and views of support received and needed, as well as with senior leaders. Final report of the review into the health and deployment implications of teachers working longer as a result of the increase in normal pension age in the teachers’ pension scheme. Teacher trade unions, employers and DfE took part in the review. The Teacher Recruitment Bulletin has replaced the School Direct bulletin. This is a monthly bulletin with the latest news on teacher recruitment for schools and ITT providers. The successful round 1 and round 2 applicants to the pilot strategic college improvement fund (SCIF). This collection of guidance will help potential partners to set up, formalise and evaluate their partnerships. The guidance will help you to assess your needs and identify ways to establish or grow a partnership to meet those needs. 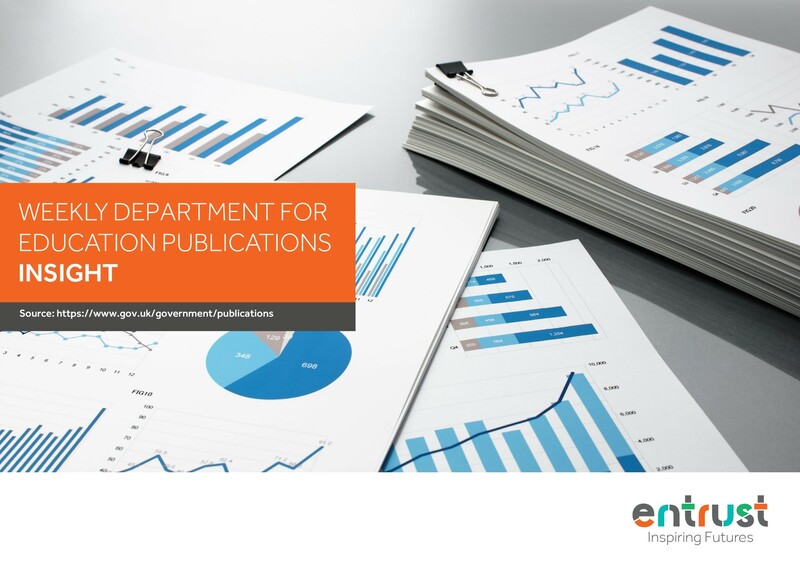 It includes information on review requests and review outcomes. This information is provisional because the data does not yet take account of the outcomes of any process inquiry applications. The 2018 Apprenticeship Pay Survey is a joint endeavour between the BEIS, the DfE and the Welsh and Scottish Devolved Administrations. It provides important information on training, hours and pay from current apprentices. The findings enable looking at wage levels nationally, measure changes with previous years and monitor whether employers are adhering to the rules on fair pay.